East Bay Area of California, approximately 25-miles from San Francisco, 1-mile off of highway 680 near the CHP scales. Our office is located in a semi-industrial area, which allows for easy 10 and 18-wheel parking while you are getting your physical completed. We take care of your DOT Medical Card process and get it done right first time at at Frieders Chiropractic! For more information go to Frieders Chiropractic website. 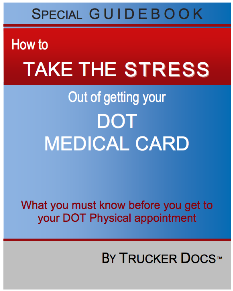 Bookmark this page to Frieders Chiropractic for your DOT physical. We’d be grateful if you would take a few minutes and write a short review in the Comments box below. ** Please do not post questions here. If you have a question about DOT physicals, medical conditions, Federal or state regulations, please visit our Driver Q&A pages to get your questions answered. If you need to make an appointment, or have a question about our DOT services, please contact the Doctor’s Office at the phone number listed above. We’ll approve your comment first, before it appears on this page. Awesome Guy, fast and professional. I will be back in 2 years or if my back gets messed up. very pleased, I would recommend, fast and reasonable.I made an appt. and was seen by doctor quickly and he filled out all the forms.